Love working on little Pinterest projects? 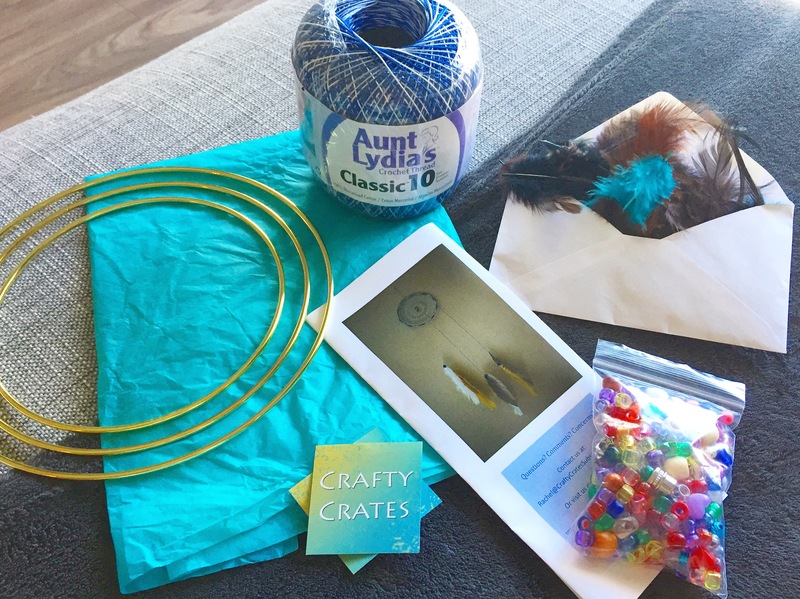 Crafty Crates is just that! A DIY kit sent to you monthly with all the tools to create a fun project. Nothing like creating your own home decor, handmade by yours truly! Fun to work on yourself or with the kids, or order a bunch and get a group of ladies with a bottle of wine and craft away as a group! Here is the September box, and loooook what we have! A Dreamcatcher! Yes! I love dreamcatchers! I have no idea how to make one so thankfully we have some instructions here. Looks simple enough with all the tools you’ll need like beads and feathers. Past months have had a henna project, candle and coming up next is a faux stained glass project!